NEWLY PRICED TO SELL! Lovely West Pittsfield mid century brick Cape w/private Onota Lake rights! The first floor features an updated eat in kitchen with newer appliances and countertops. The great room (ideal as an open living room/dining room) features a fireplace, hardwood floors, and access to newly repainted rear deck. The family room addition is drenched in natural light. Originally built as a 3 bedroom , there are currently 2 bedrooms and two baths on the first floor. The second floor is UNFINISHED and would make a fabulous second floor master suite or whatever your heart desires! Sited on a double lot in wonderful neighborhood. Lake access is via a private gate on Blythewood Drive. Perfect for year round living or as a vacation home. 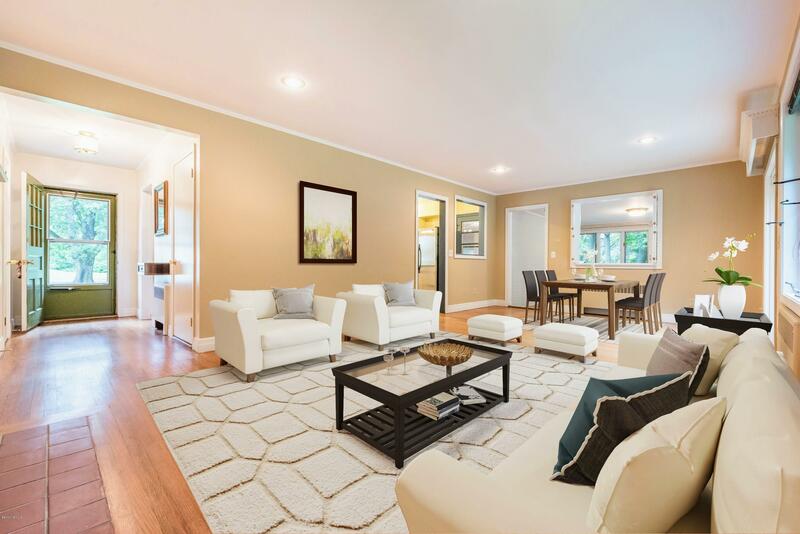 SOME PHOTOS FEATURE VIRTUAL STAGING.